Welcome to apartment # 301, Brazilian your home away from home. 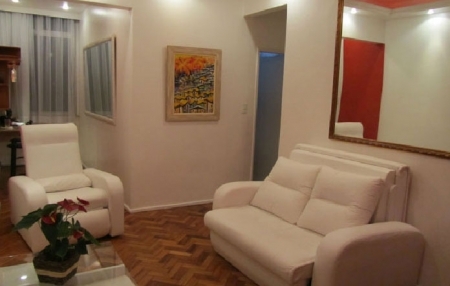 The apartment is attractively decorated with bright colors and beautiful pictures all around. The area is very active as well as community and family centered. It is two blocks from the beach. There are several places to eat and shops in any direction. 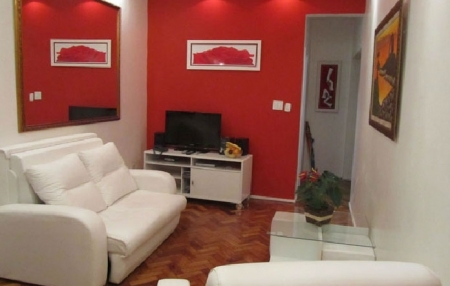 You will love this apartment When You come to Rio, Copacabana. This apartment is close to a wonderful safe swimming beach as well as other venues providing varied entertainment and water recreation. There are excellent restaurants and eating joints survey different dining options that which will enhance your taste buds and senses with some superb dishes. Building has elevator and is located 2 ½ block from beach . Free Internet connection, Washer and Dryer, 2 blocks from beach. Kitchen ……… Functional kitchen with gas stove, refrigerator with a small freezer, microwave, toaster, coffee maker, blender,eating and cooking utensils. Entertainment……. 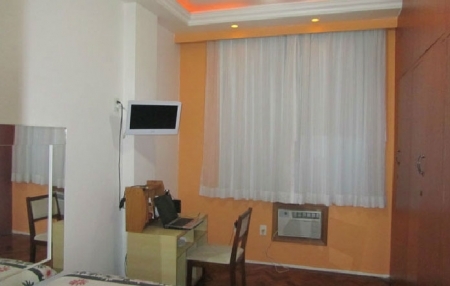 32″ television in the living room, a 19″ television in each bedroom, a DVD, Radio, CD and cassette player combination. 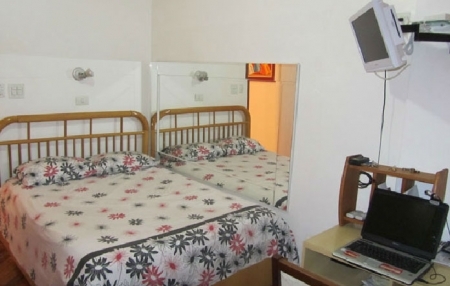 Key Features: 2 blocks from the Copacabana Palace Hotel and beach. 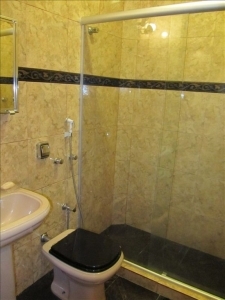 Apartment with all the amenities to enjoy your stay in Rio. You will not find this quality in other listings. 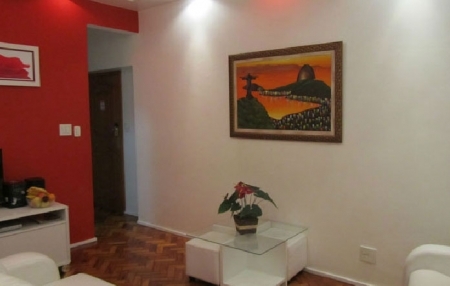 Air conditioners in every room, colorful artwork throughout the apartment. 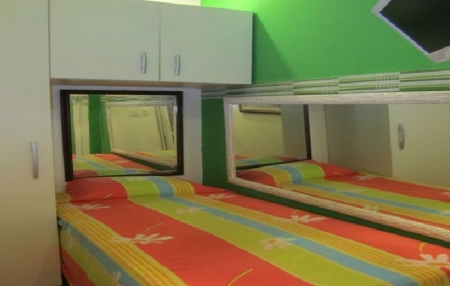 24 hour doorman, secure building and area in the center of Copacabana. Apartment 301 is a destination of choice for a family vacation or just a weekend getaway.